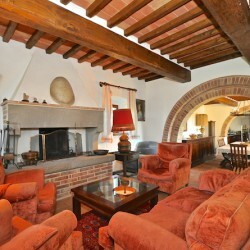 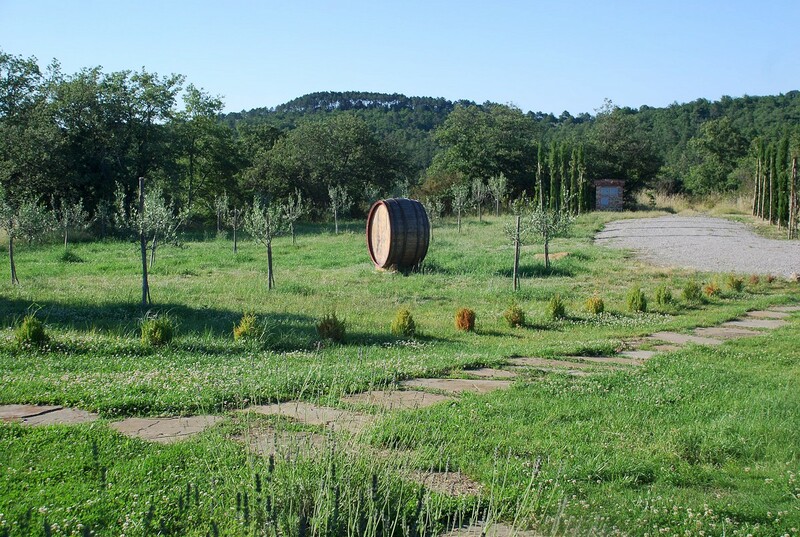 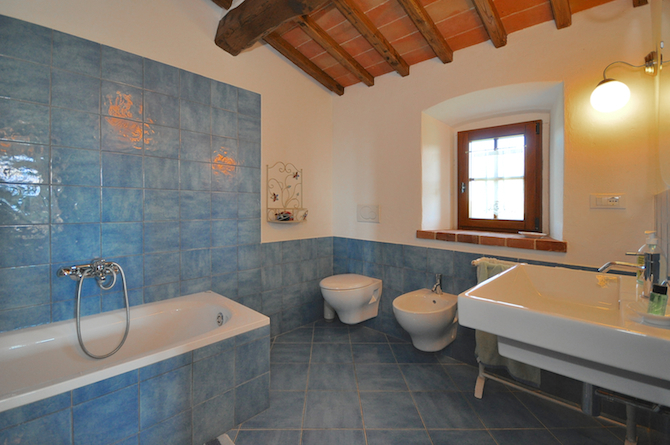 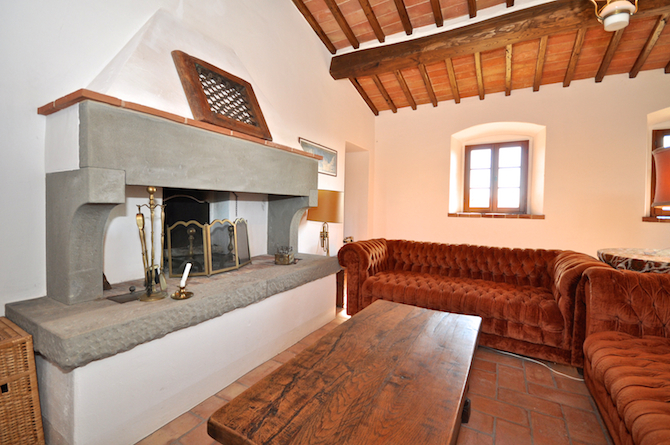 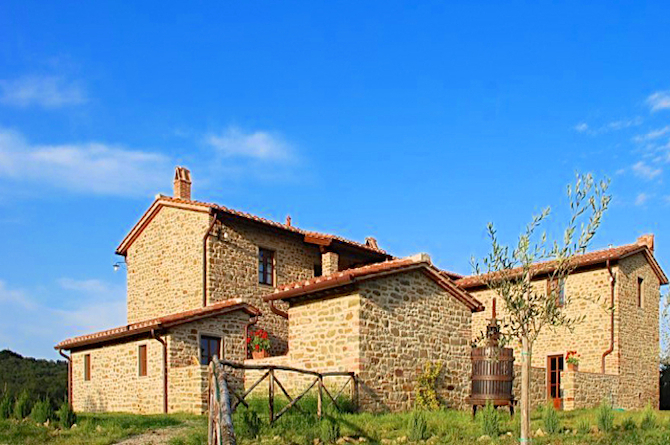 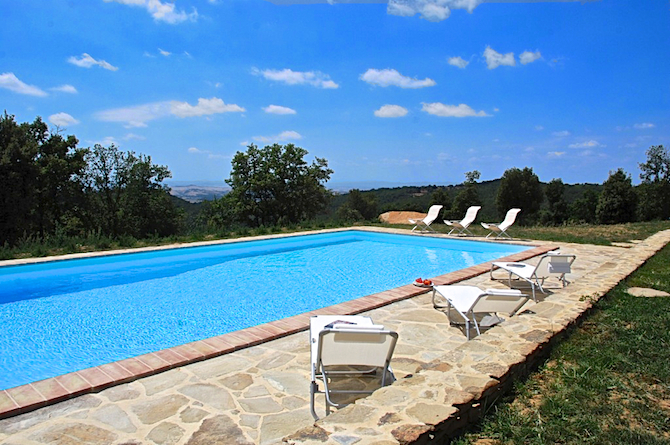 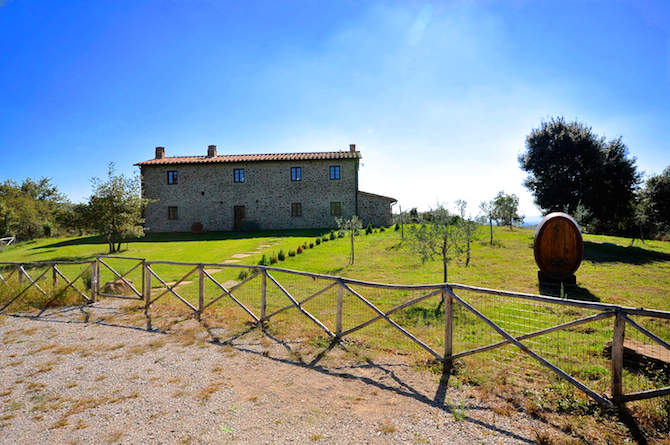 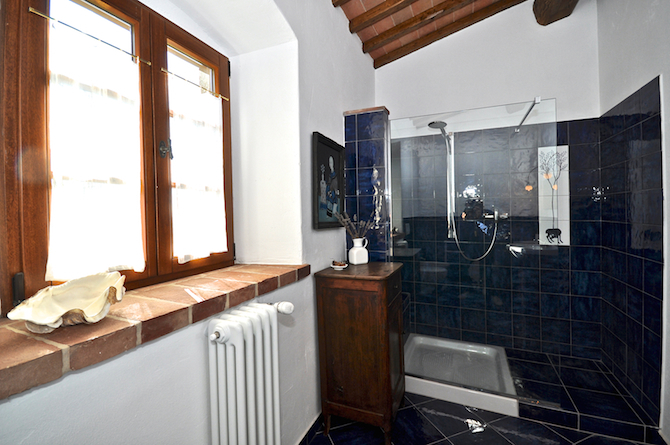 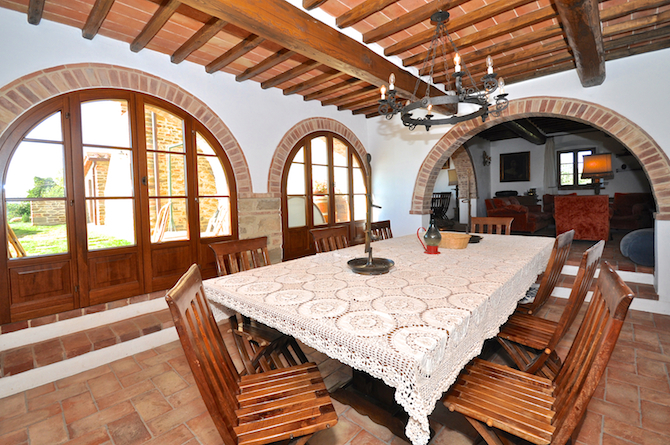 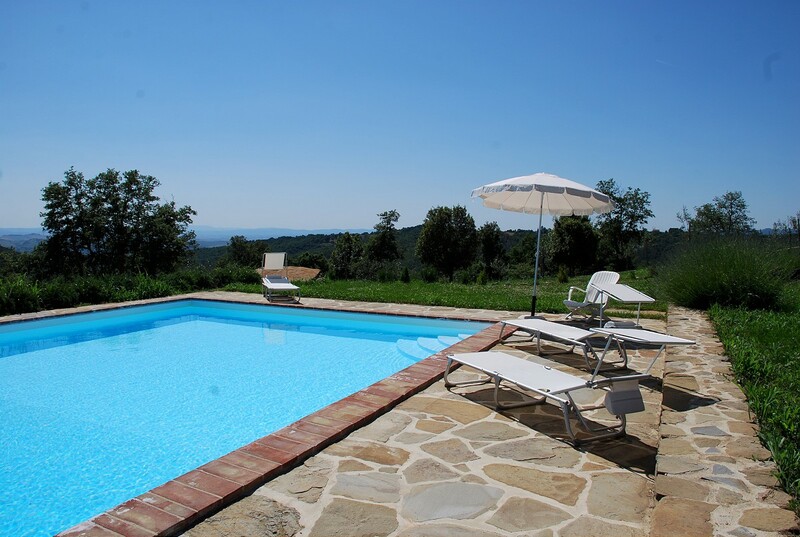 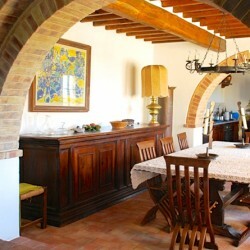 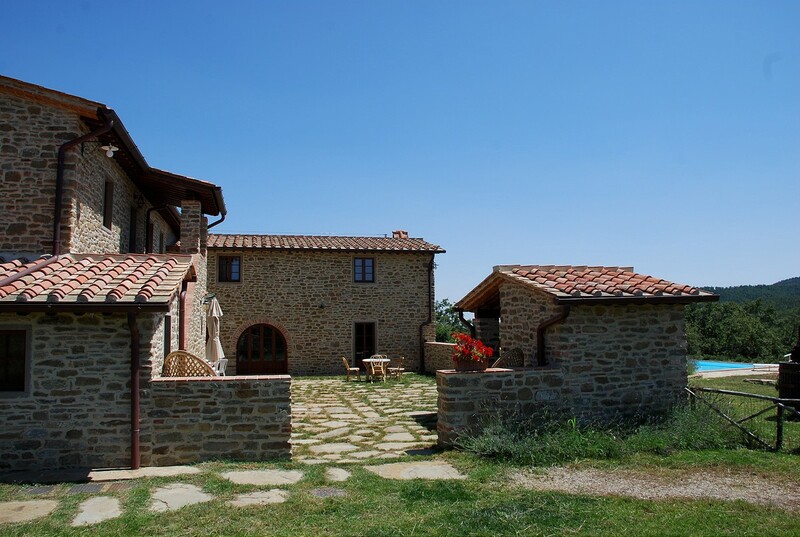 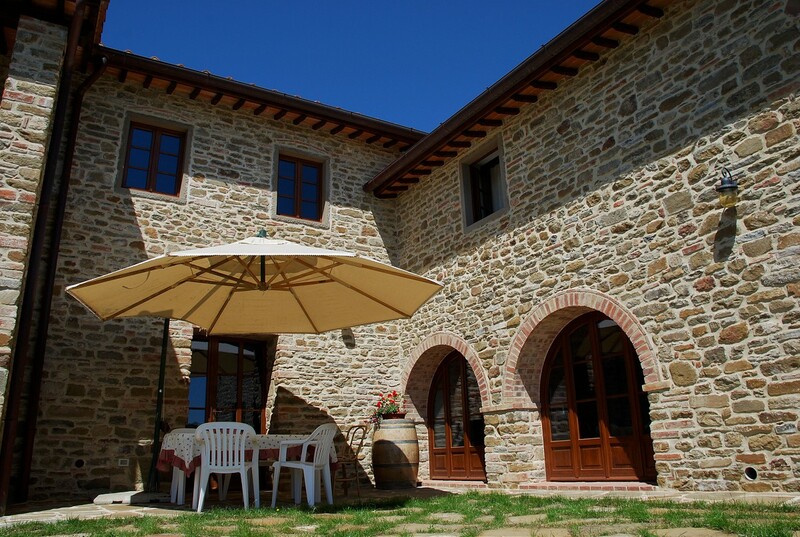 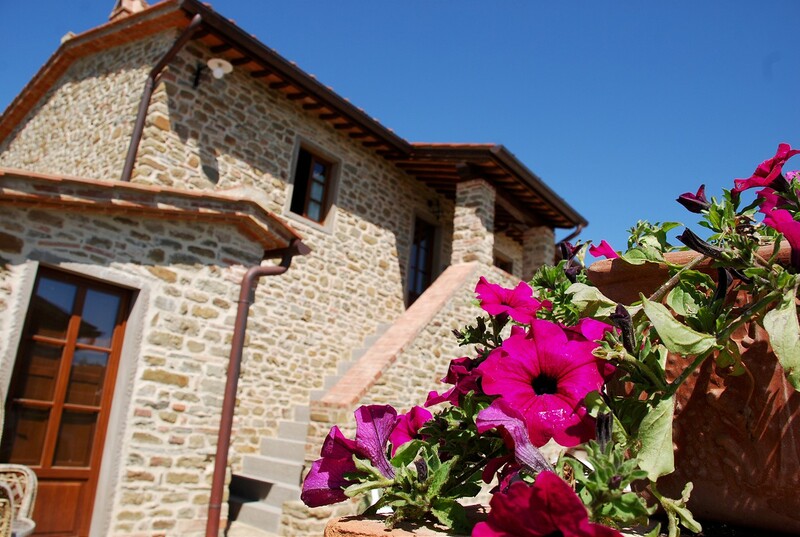 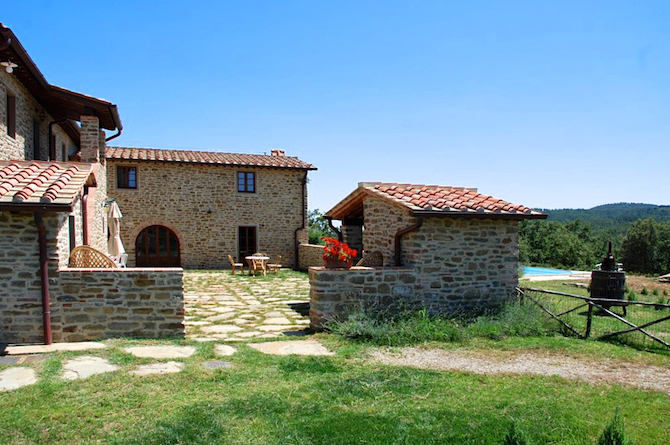 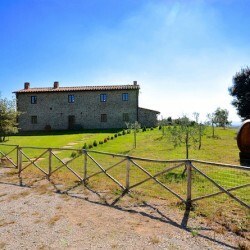 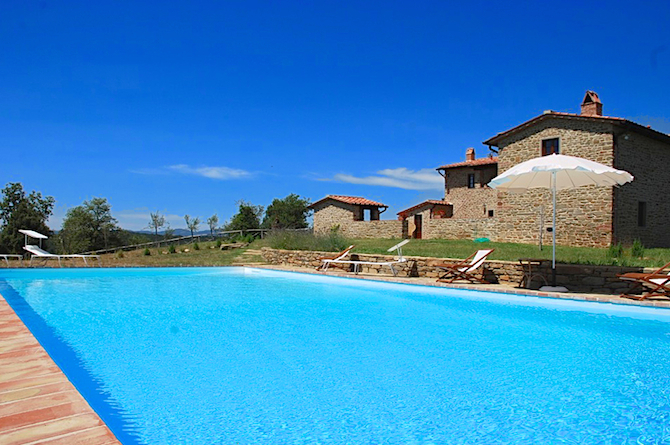 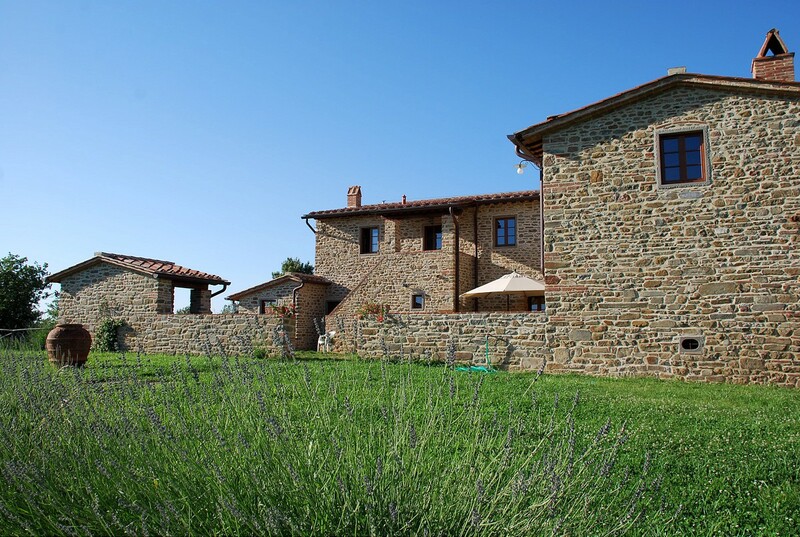 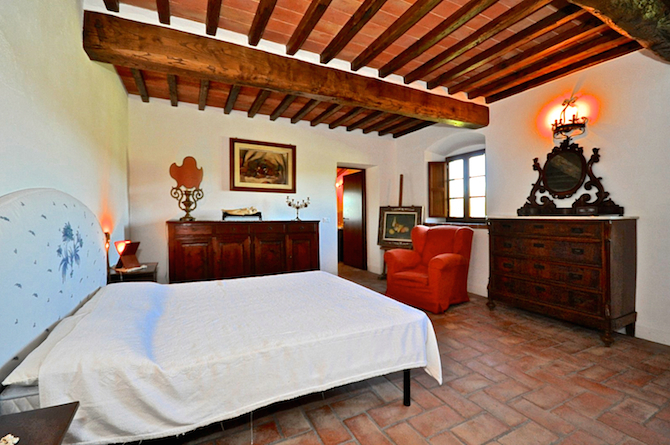 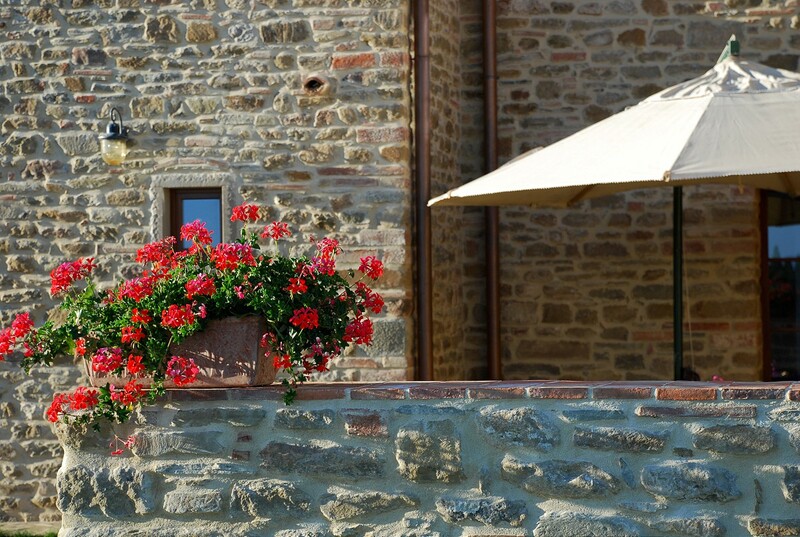 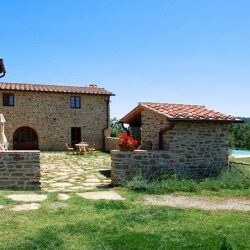 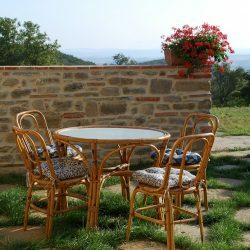 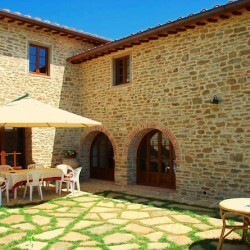 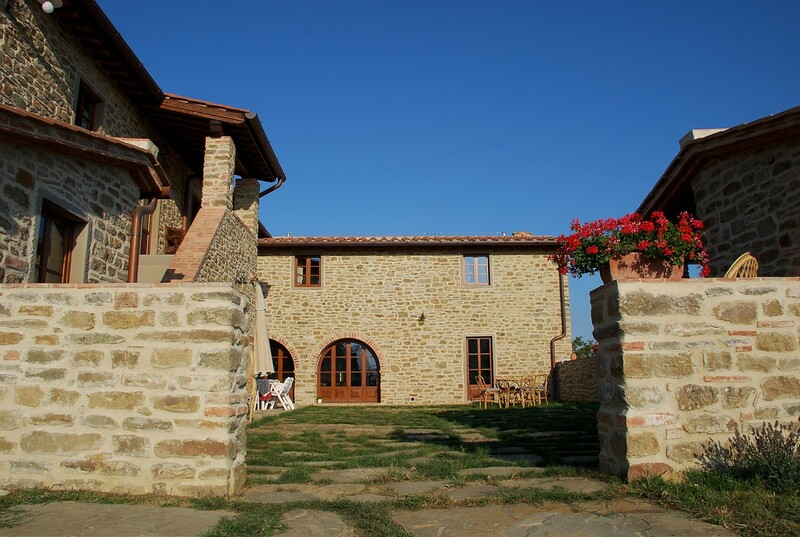 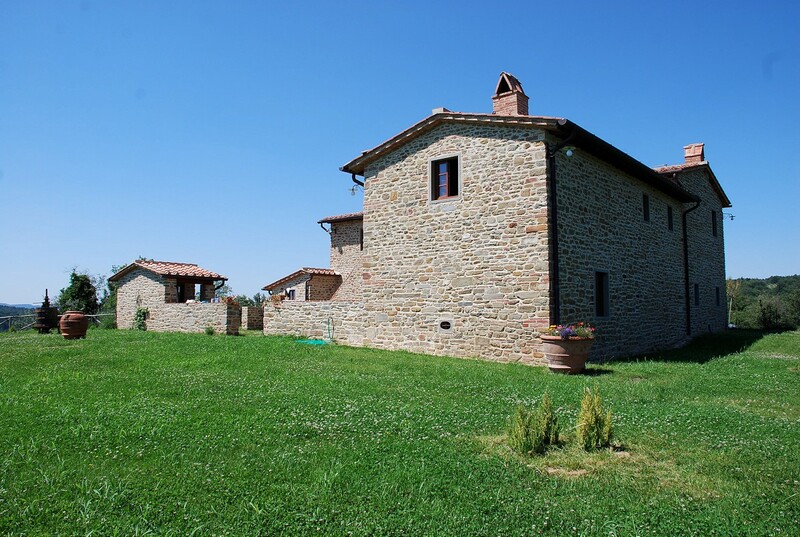 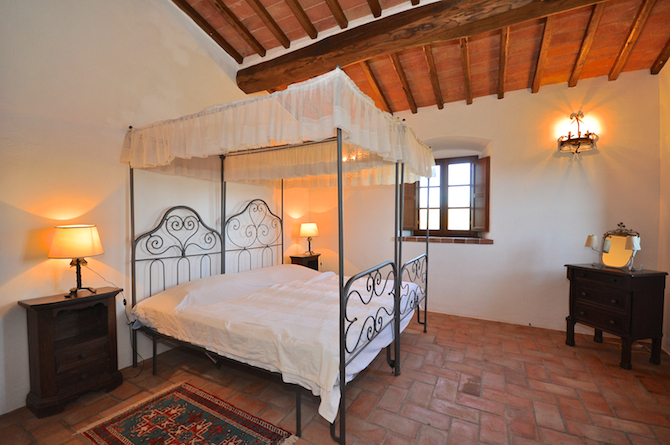 Farmhouse located in exclusive location with 360 degree views, arranged over two levels, with a pool. 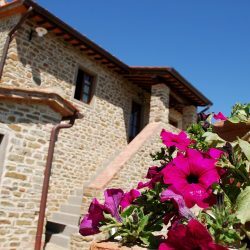 The property dates back to the late 1700s, and was inhabited by local farmers until 1950; between 2008 and 2011, the farmhouse was fully and meticulously restored, while maintaining all its original, typical features, its charm and its history. 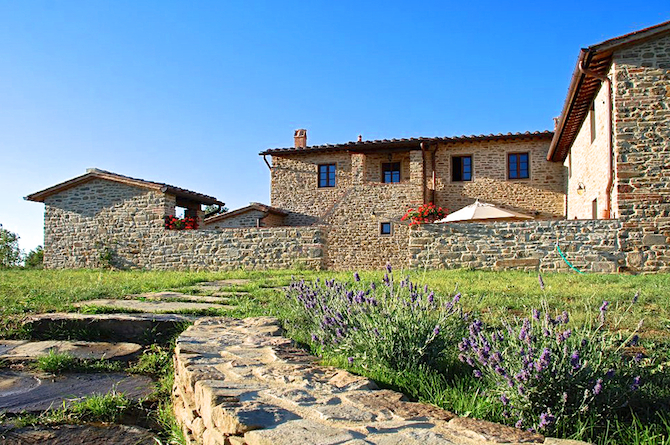 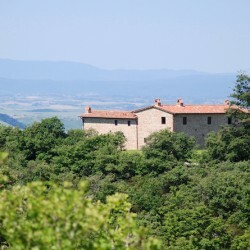 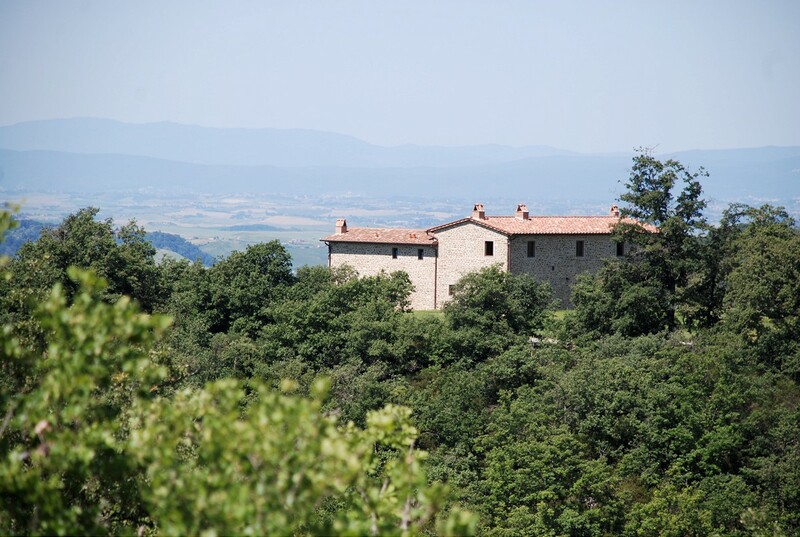 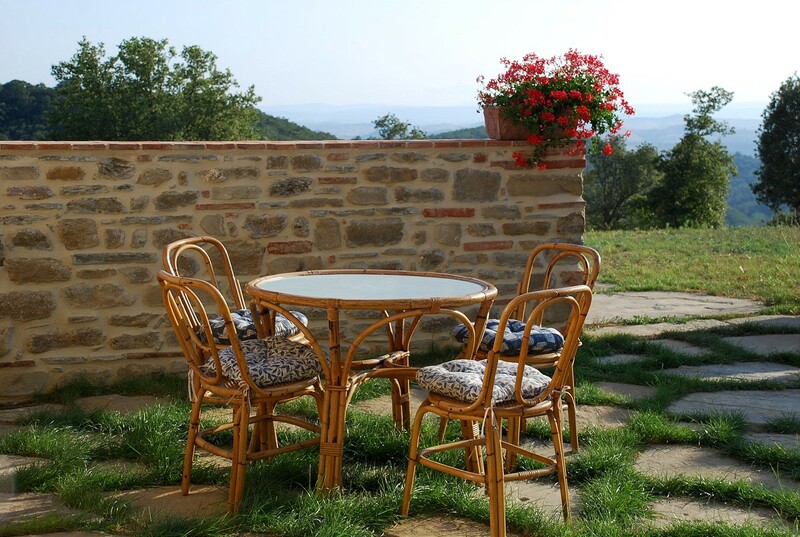 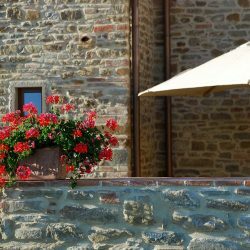 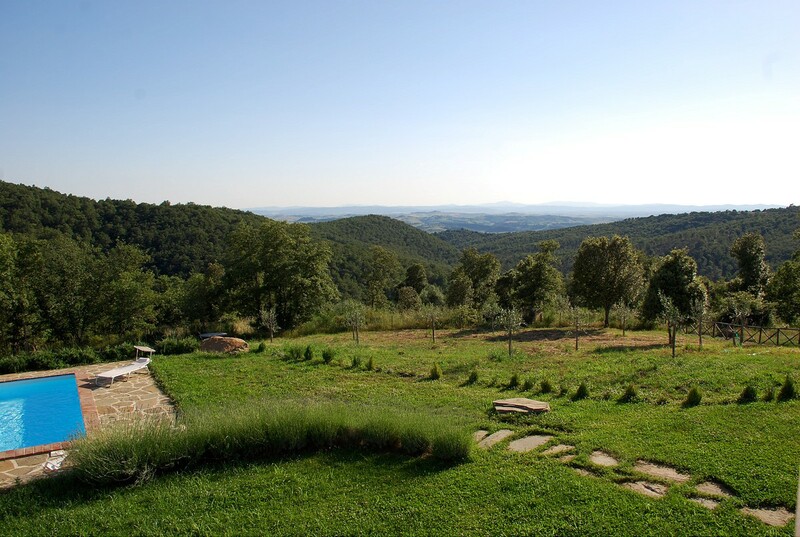 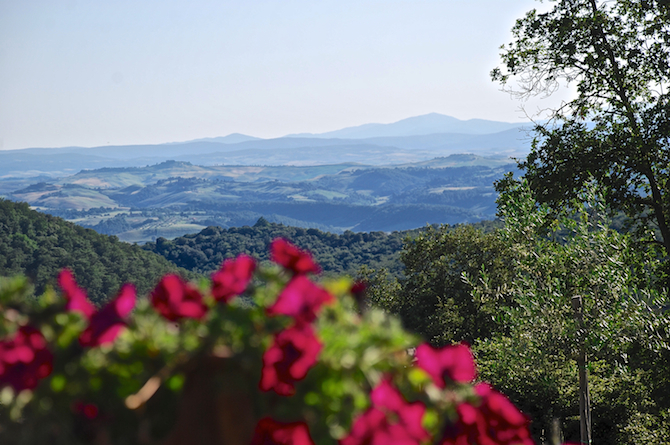 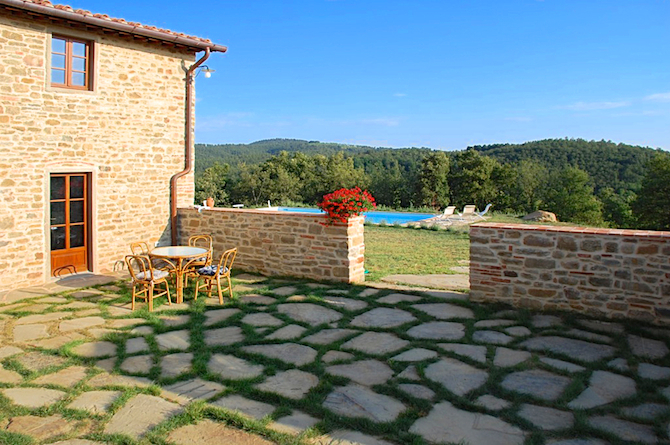 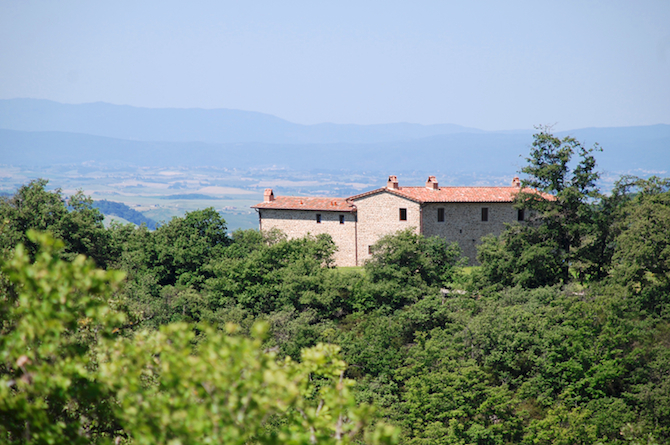 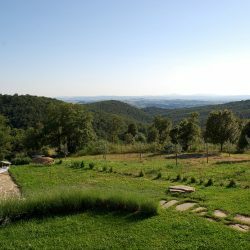 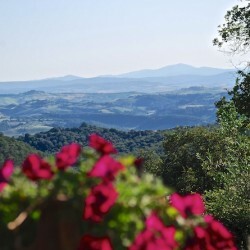 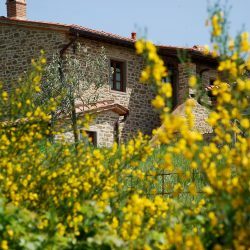 It is immersed in an oasis of peace and quiet and has clear, free views over the hills towards Siena, of woods and olive groves. 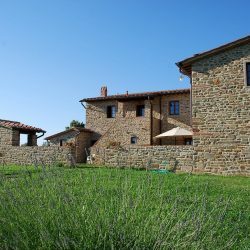 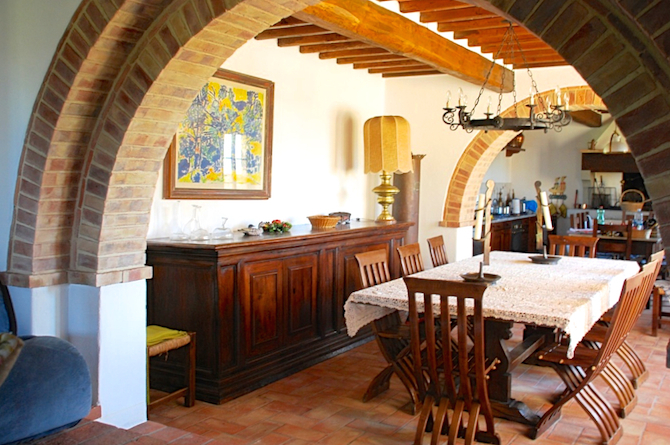 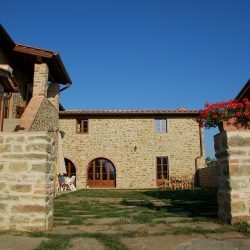 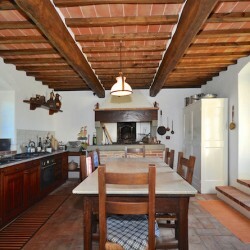 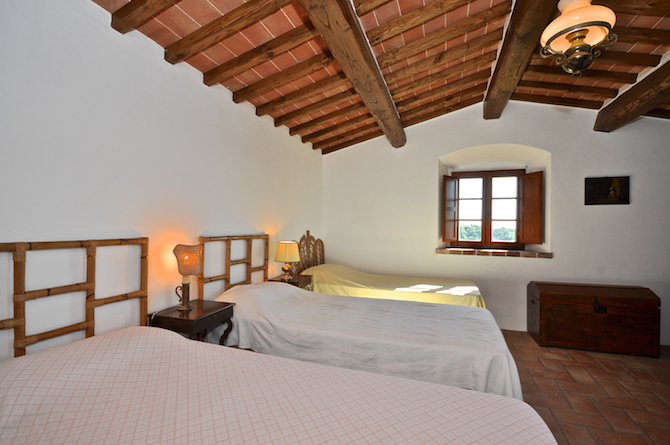 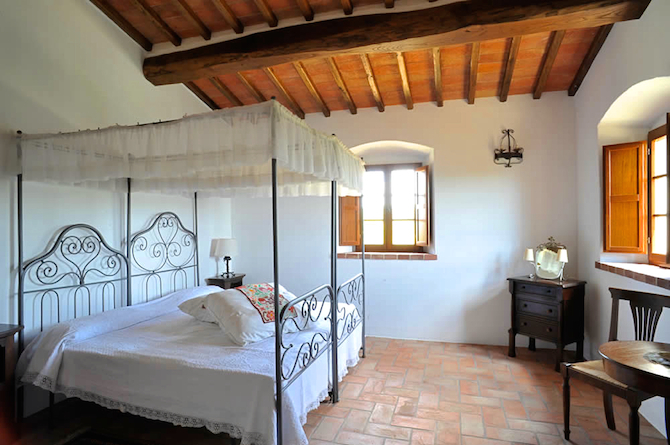 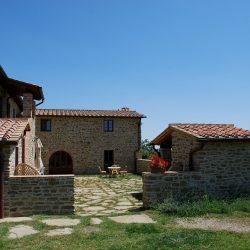 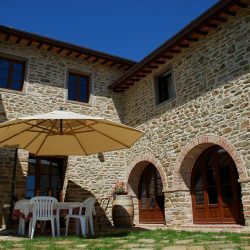 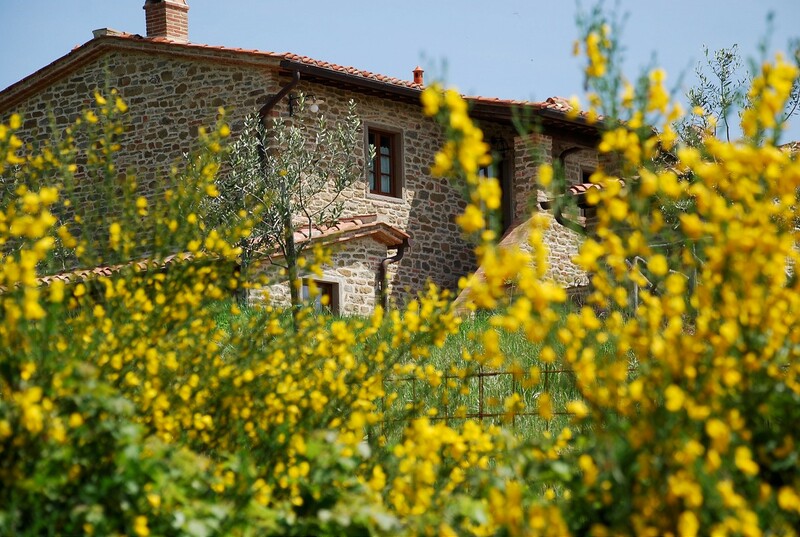 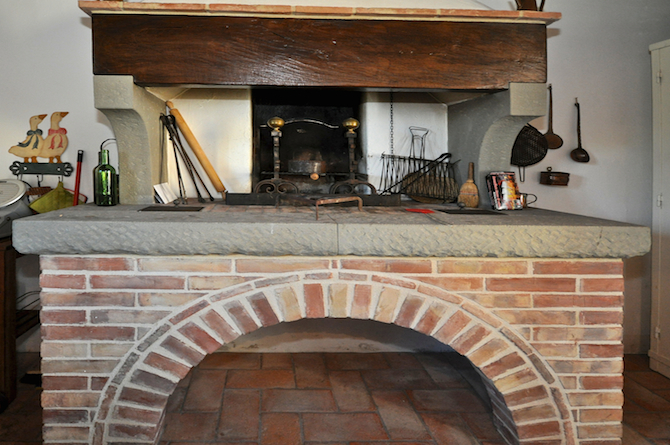 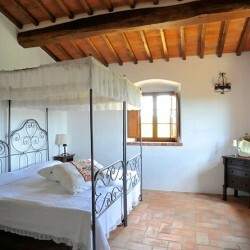 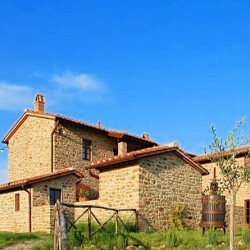 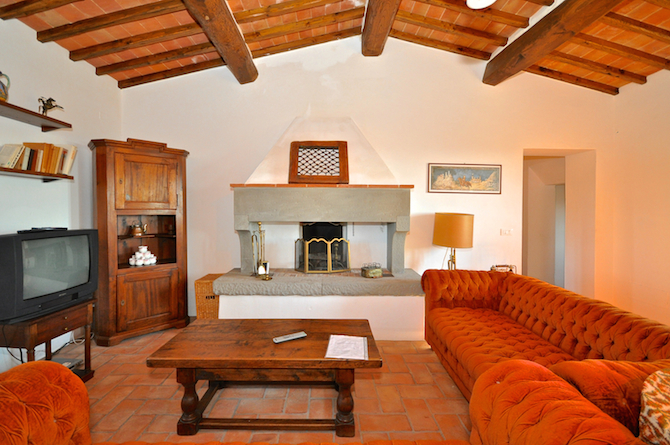 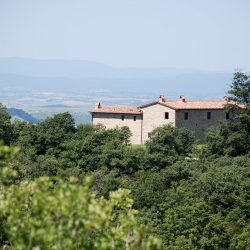 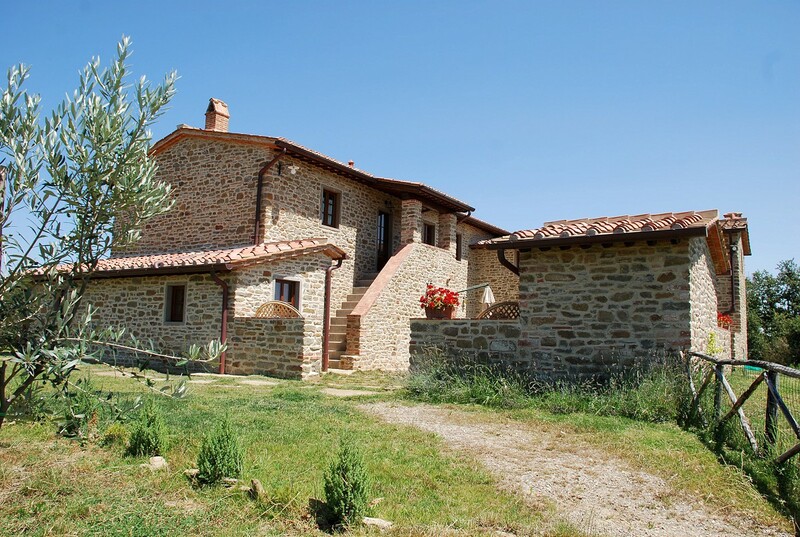 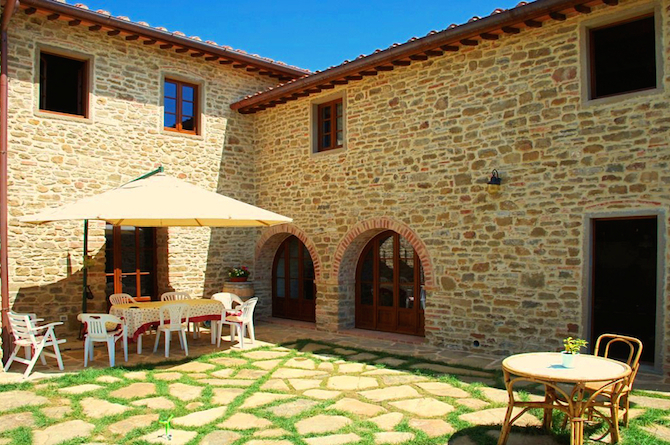 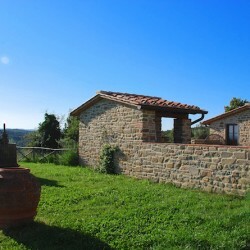 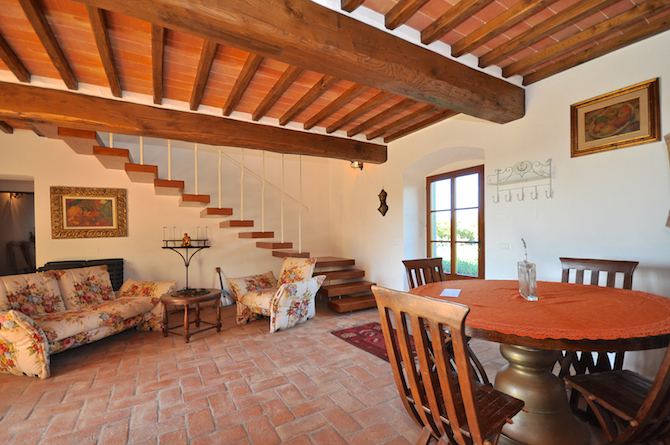 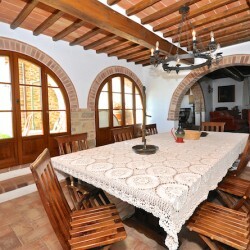 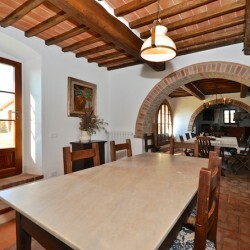 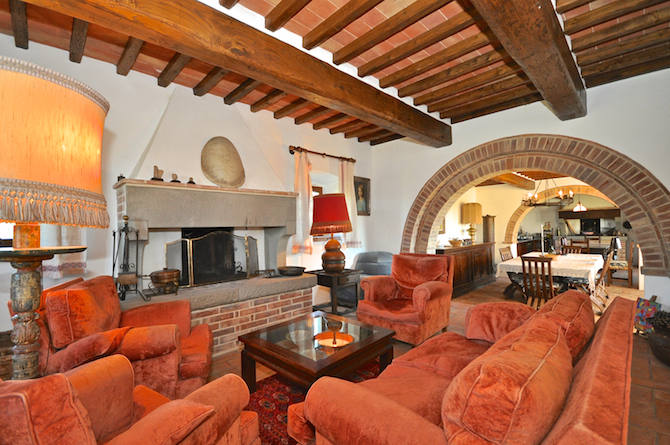 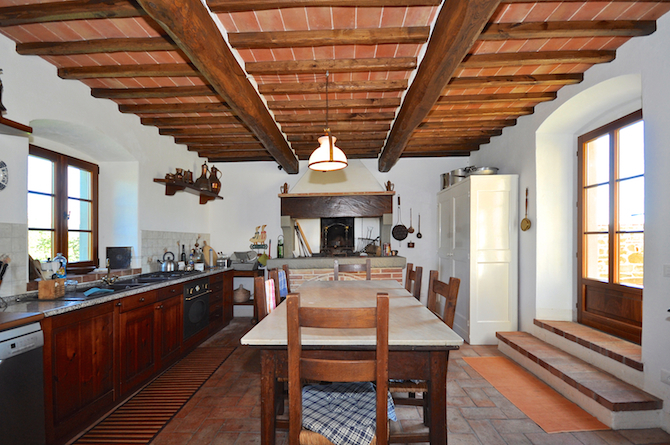 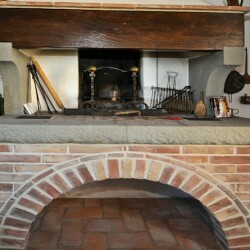 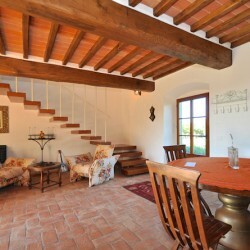 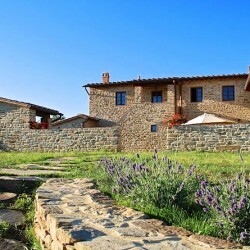 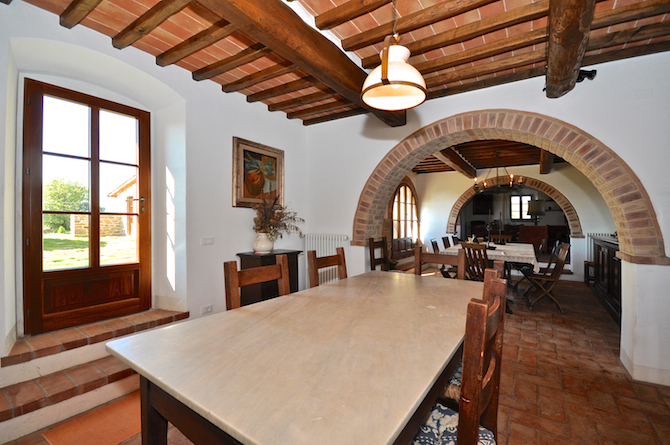 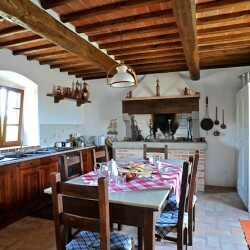 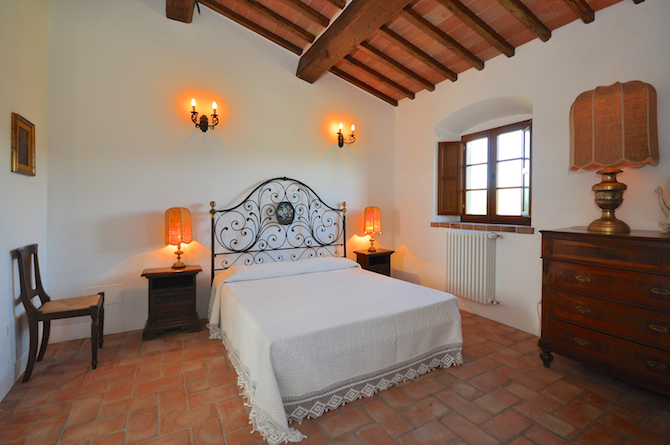 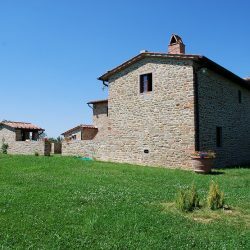 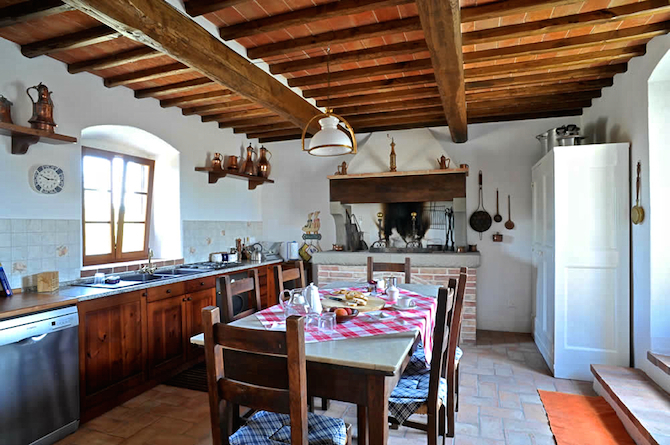 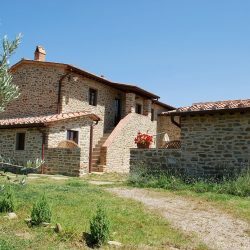 The farmhouse has typical stone and brick facades, a loggia and courtyard, while on the inside it is characterised by open beamed ceilings with terracotta tiles. 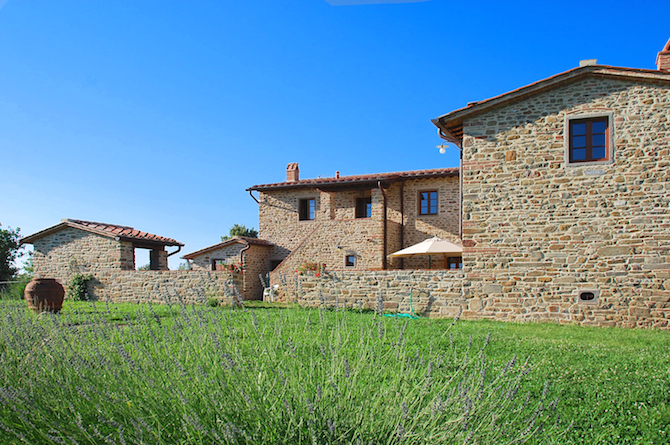 The ‘pietra serena’, which adorns the impressive open fireplaces on the ground and first floors, is also a perfect complemented on the outside, where it has been used over windows and doors. 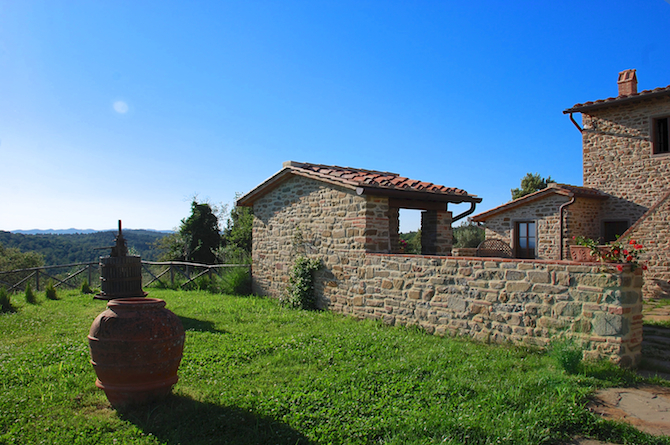 There is a 100 metre deep well which provides the property with extremely pure water. 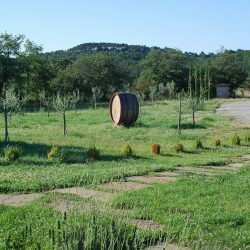 There are approximately 20 hectares of land (45 acres), including 17.5 hectares of woodland, 2.5 hectares of olive grove with 500 olive trees. 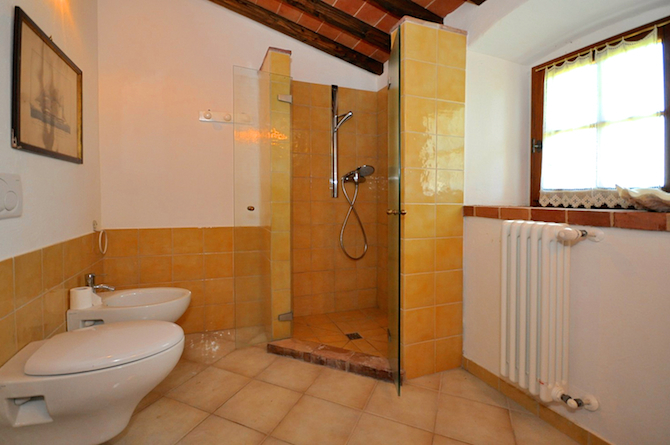 Three bedrooms with ensuite bathrooms.